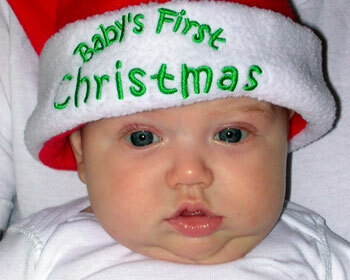 Here's Megan all decked out for her first Christmas! THAT HAS GOTTA BE THE CUTEST PICTURE I;VE EVER SEEN. sure reminds me of my niece at that age. Almost 20 now!